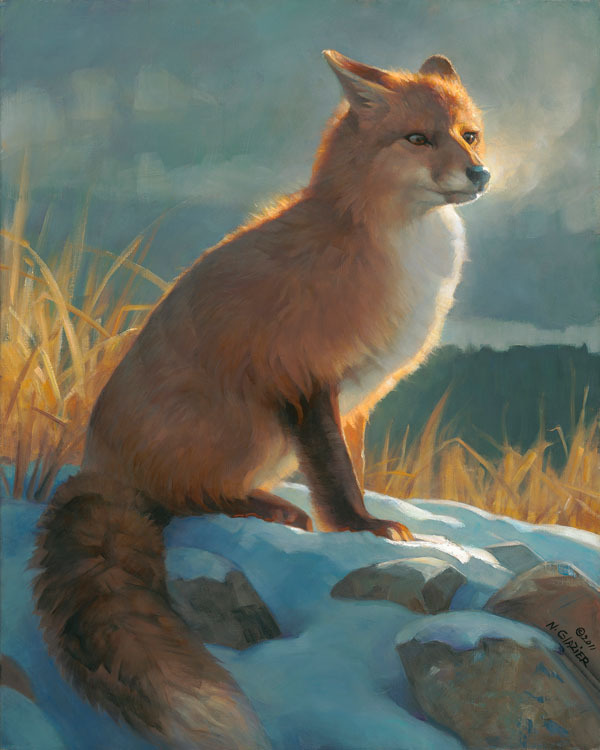 Nancy Glazier is one of today's most talented wildlife artists. She loves every animal she paints and feels a special relationship with nature's creatures. As this elegant hunter rests in the snow, the light in the background forms a glow of "Backlit Beauty." After a moment of keen observation of its surroundings, this sly fox will be on its way and in pursuit of its next meal.